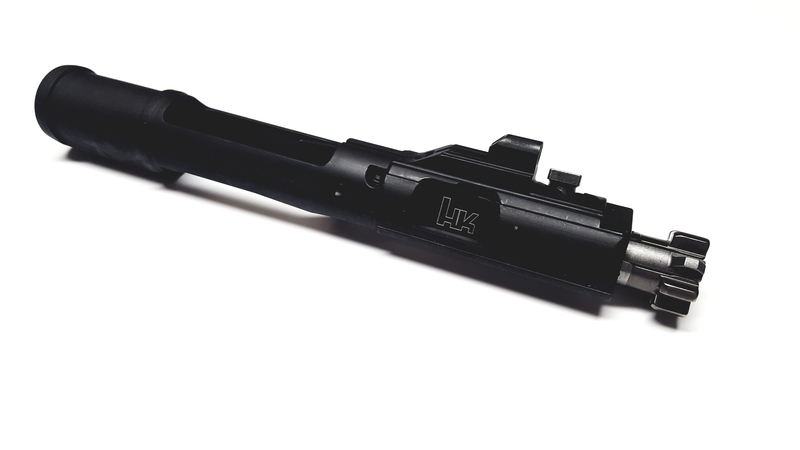 Factory original HK 417 Bolt Carrier group in New condition. 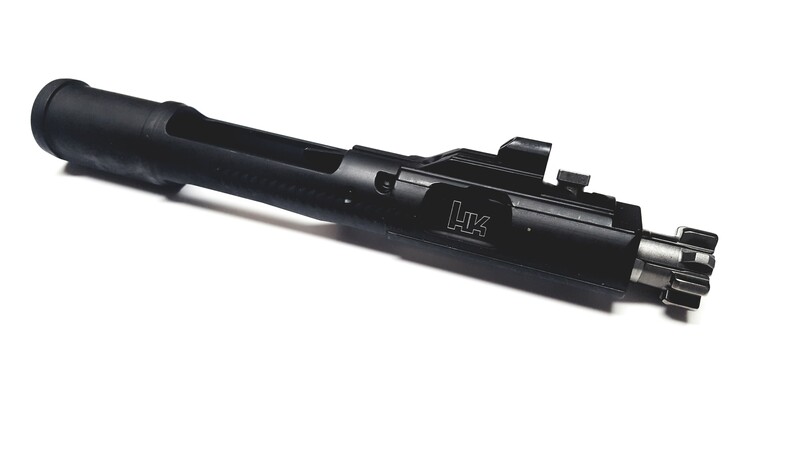 This bolt carrier group is not a MR762 BCG but factory HK417 and is complete with bolt carrier, bolt head, firing pin,firing pin spring, cam pin, and retaining pin. This is a rare item and they are almost gone!